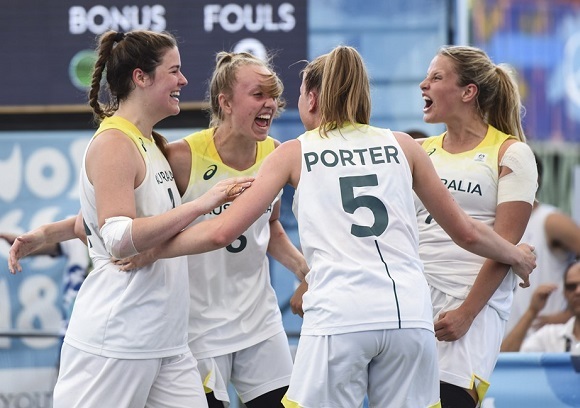 Australia have dominated their Quarter-Final against Ukraine to ensure they will at least play off for a medal at the 2018 Youth Olympic Games 3x3 competition. Coming into the tournament ranked 20th in the world, Suzi-Rose Deegan, Sara-Rose Smith, Alexandra Fowler and Ruby Porter faced the number two ranked team in Ukraine. Fowler and Deegan combined for first four points of the game, utilising their size to seal positions down low. That edge in the paint allowed Australia to continually reel in the offensive rebounds which gave them several second chance points. The extra possessions also kept the ball out of Ukraine's hands as they struggled to trim the deficit with Australia taking charge. The Aussies moved in front 10-3 midway through the game as Porter drilled a couple of nice runners before Smith connected on another drive to open up a game-high 11-point advantage. 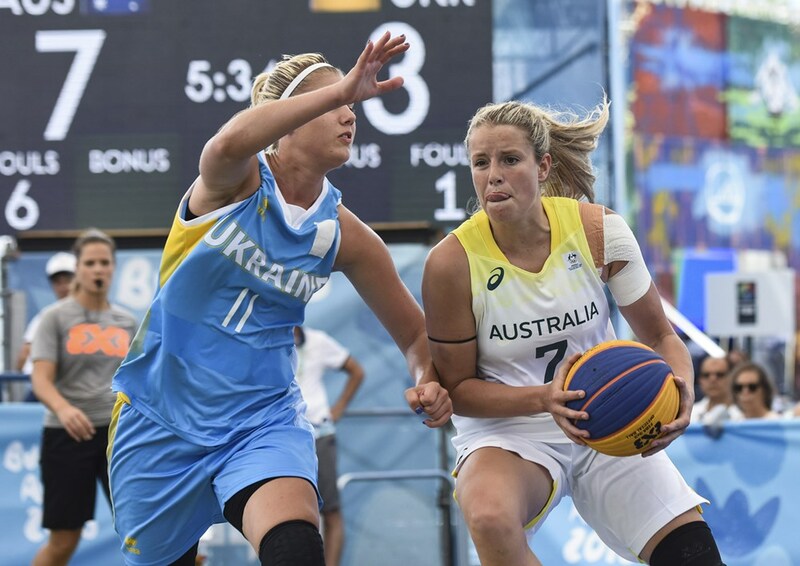 Ukraine were able to hit a couple of late free-throws but Australia finished with a 16-6 victory as they advanced to the Semi-Finals to take on France. The Semi-Finals and medal games will both be held early tomorrow morning Australian time and you can watch a 24/7 stream of the Youth Olympic Games here courtesy of the Australian Olympic Committee. That link also offers a replay of Australia's games via the VOD (video on demand) button within the player while you can keep up to date with stats here.